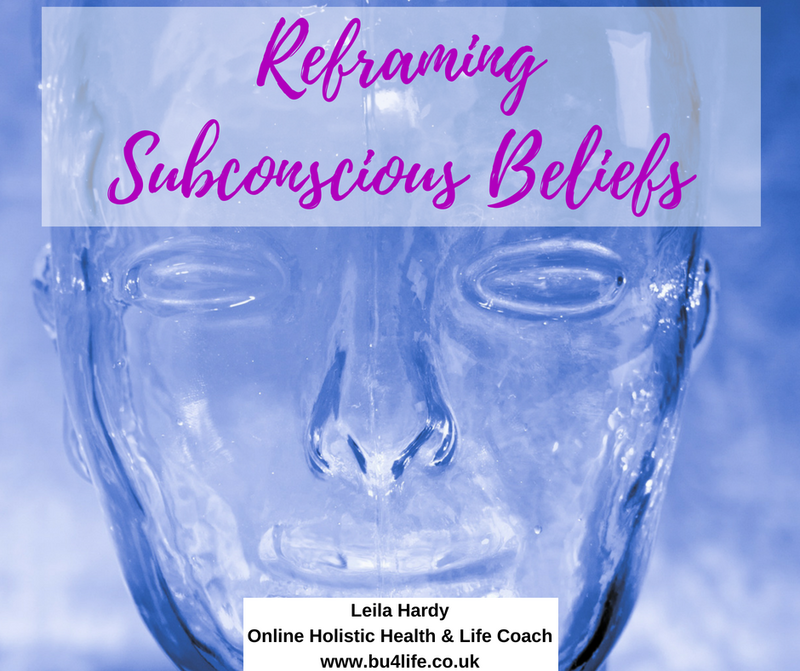 Welcome to part 5 of reframing subconscious beliefs! Are you wondering why I'm taking my time delivering this powerful topic to you? Because doing deep work like this requires some integration and rest in between-this allows your body and mind to make powerful changes! So stick with it and today, I'll be sharing the powerful fourth and fifth step with you! Have you missed the other parts of this powerful series? Step 4 of these five steps is where you will start disconnecting those old limiting beliefs, so you can powerfully receive the upgrade and reprogram to your subconscious mind in step 5! Step four is about tracing those beliefs back that you identified and the feelings you observed in steps 2 and 3, to be able to move forwards. Once you have a list of those memories and ages, feelings, emotions and thoughts, remind yourself of the phrase, ‘you've got to feel it to release it’. When you go back to those memories and ages, firstly, it's time to really review those images as if they were on a TV screen or you're looking at a photo. You're not reliving any of them whatsoever, just literally objectively reviewing them. As you do that, it's time to start detaching from them. By detaching I mean starting to create mental space, break those neural circuits, that programming, those neural 'wires' that are moving, that are creating the brain synapses that are moving into your physical reality - in your actions, in your thoughts, in your feelings. State out loud preferably, write down as well, make visual, use every single one of the senses that you have! “I'm not that little girl anymore." "I'm not the age [and you're going to put in in the age where you were]." "I'm not that many years old." Work out what that is based on what you've established in step one, two, and three. Once you've done that, we've now got to upgrade those beliefs. Because this is simply out of date programming that's kicking in every time you have some sort of trigger that recreates and reignites that subconscious belief, once you've detached, you've got to upgrade those beliefs using up to date information, relevant information for your mind and for your body. “I am [your current age.] I am 36 years old." "I can buy my own food." "I have money to be able to have my own car, my own home." "I am big enough and powerful enough to express myself clearly." When you really start to upgrade those beliefs, can you feel the power and the energy shifts that start to occur as you do that? You are literally detaching and then you're upgrading. The two go side by side - detach, upgrade. Detach, upgrade. Now, making those upgrades stay put, requires reprogramming those new beliefs, those things that you know you need to believe about yourself in order to create the success that you desire in your health, your wealth, your happiness, your business, your life, whatever that might be. Once you've detached from those old beliefs and upgraded them using Step four, you've cleared some amazing mental space for new beliefs to come in and stay. In fact, it is really important that you do use that space for new beliefs. Otherwise, that space will just fill up with any negativity you're surrounded with, any stress that's going on in your environment that may be directly or indirectly related to you. It could be things like pollution, the news, the media, challenging relationships, all of those things. It is absolutely vital that you go all in with all of the things that you want to believe about yourself. "I am worthy of all the success I want." "I am inviting incredible relationships into my life." "I believe in my abilities." All of those affirmations make a new statement to your mind, your subconscious mind that helps it rewire and reprogram with those up to date beliefs you want to have about yourself. The key thing here, is that you have done the work to clear the old beliefs out, so affirmations are going to be received really powerfully! You can alternatively use afformations. An afformation is slightly different from an affirmation, as you are asking a question of the subconscious mind so the subconscious then goes searching for all the evidence to answer that question in a really positive way. "Why is making money so easy?" And your subconscious mind will go to experiences and significant experiences and memories where making money was really easy for you or you witnessed making money being really easy. As you do that you can really start to feel the subconscious pulling positive information rather than the limiting information it's been pulling before. You can also use hypnosis to form a powerful visualization via audio that excites and ignites your imagination and subconscious mind to create new neural pathways that lead to new beliefs that lead to new feelings about yourself, new actions from you that, of course, lead to new results. The power of that is that your reality starts to change really profoundly and relatively quickly as well. You've done some incredible work here to releaser and reframe your subconscious beliefs! Now, as your body and mind starts to process the upgrade you've just worked through, stay hydrated, drink lots of water and rest if you need to! I'll hop back in with the final part of this series in a few days! Don't hesitate to reach out in the meantime if you want to discuss how you can go through this process for multiple subconscious limiting beliefs you are working through.